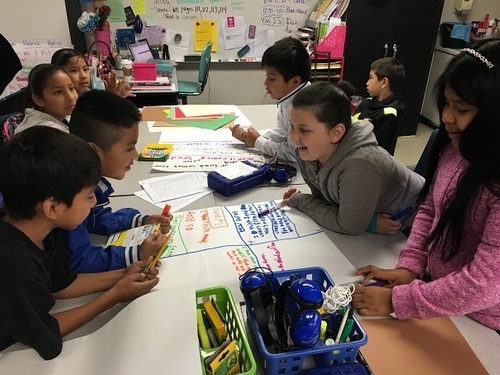 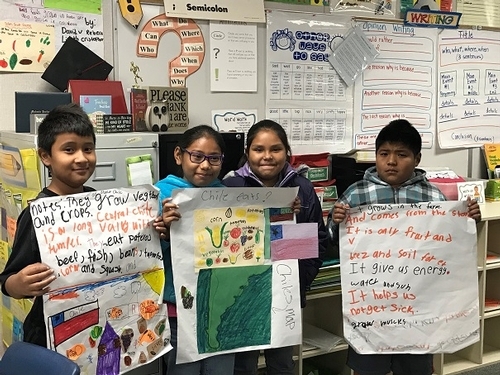 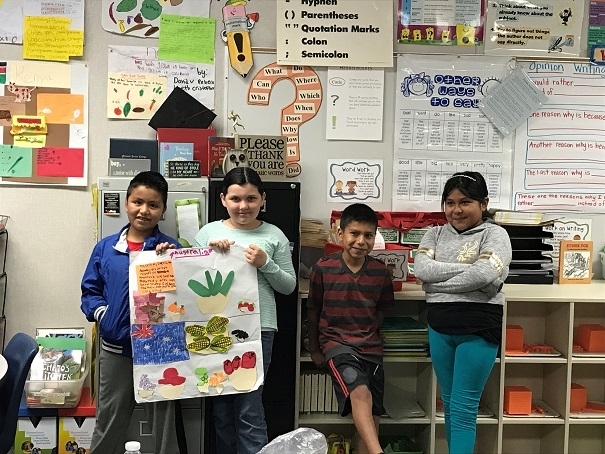 The UC CalFresh Program brings the Shaping Healthy Choices Program to Madison Elementary in Madera Unified School District. Mrs. Schallberger and her classroom receive intensive weekly lesson demonstrations from their educator, Angelica Perez. 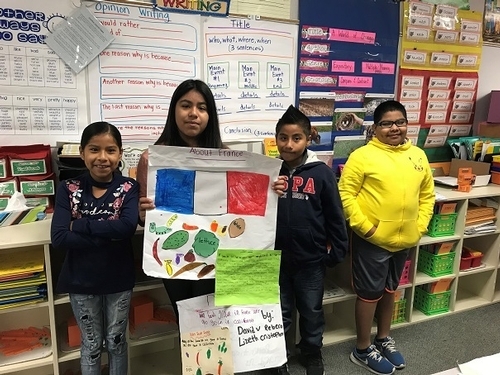 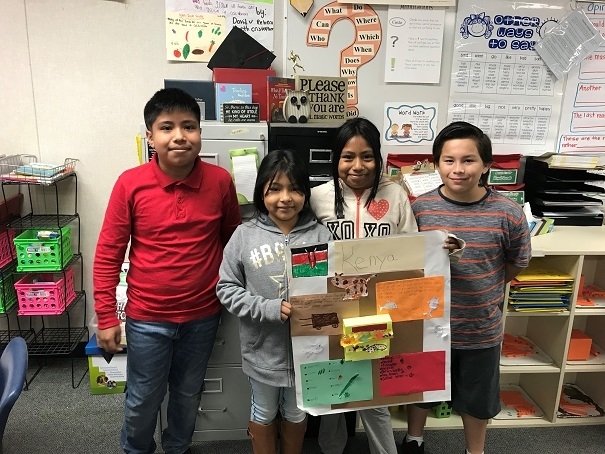 As the lessons continued, the student groups were assigned a country and an artwork project that gathered different information about their country. This information included the agriculture practices, food that was grown and sold and even some cultural dishes. The students had fun creating their country's artwork. 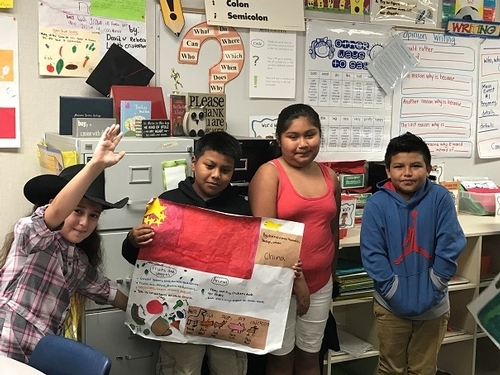 The groups did a wonderful job in representing their respective countries and also showed how creative they are!